What training is currently provided to airline carriers and their crew members to identify the symptoms of infectious diseases, such as Ebola, before a passenger boards a flight? What specific action has the FAA taken since the first cases of the Ebola virus were reported in West Africa in March 2014? Does the FAA intend to take any steps to limit or suspend air travel to countries that have experienced a significant Ebola outbreak? Once a case has been confirmed will passengers receive notification that they traveled on the same flight as an Ebola patient? Does your agency have any projections, studies or reports for how many additional Ebola cases may arrive in the United States due to air travel? If so, what additional steps is your agency taking to limit the spread of this infectious disease? To date Cruz has received no answer from Obama or the FAA, but he has been torched by the establishment media who have accused the Senator and anyone else who thinks the Obama administration’s policies have not been stringent enough to protect the American public from this existential health and border security threat. 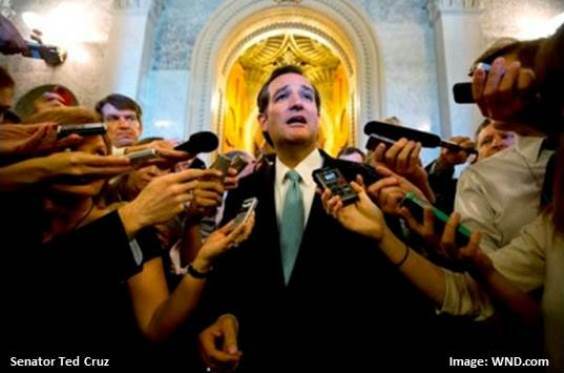 The Dallas Morning News, The Washington Post’s alleged Republican columnist Jennifer Rubin, and Politico, have all taken Cruz to task and accused him of spreading panic. The Dallas Morning News in the person of deputy editorial page editor Nicole Stockdale was particularly off base in accusing Cruz of urging the FAA “to shut down flights from West Africa” (he didn’t, read his letter to the FAA here). In her October 7 column, Stockdale accused Cruz of “working to amp up the panic, fomenting fear in the face of expert opinions (which say, for example, that shutting down flights is exactly the wrong thing to do).” And her comments that were gleefully repeated by The Washington Post’s Jennifer Rubin. Of course Ms. Rubin gets to pick which experts she quotes as part of her strange role as the decidedly not-a-conservative conservative writer for The Washington Post, but the experts whose opinions we noted, such as David Dausey, a Yale-educated disease researcher, have argued that the bungled handling of the Thomas Eric Duncan case proves the US must close its borders to keep Ebola out of the country. Ms. Stockdale of The Dallas Morning News then even more bizarrely tried to turn the discussion about what to do to protect Americans against this threat into a contest of leadership styles between Senator Cruz and his fellow Texas Republican, Governor Rick Perry. Rick Perry’s role as Governor of Texas is one of management – it is his job to put together the state response to the illegal arrival of the alien who is infected with this deadly disease. And a measured and expeditious response is what one would expect from an executive with Perry’s experience. Senator Cruz’s role, on the other hand, is one of oversight of the federal government and its response – and it is inherently adversarial. In our view Senator Cruz was right to pose his five, what we would call quite temperate, questions to the Obama administration. What’s more, when there’s a need to provide additional funding to deal with the Ebola crisis we’re sure The Dallas Morning News, The Washington Post and Politico will all be in favor – no questions asked. In our constitutional republic it is the job of Congress to ask the tough questions of the executive branch. And it has been our experience that when Congress lays down on the job of asking tough questions, providing oversight and otherwise fails to hold the executive branch to account, bad things inevitably happen -- like more cases of Ebola arriving in America. Of course the establishment media loves a good Republican-on-Republican fight, so fomenting a contretemps between Senator Cruz and Governor Perry would be all in good fun for Ms. Stockdale. However, in a situation that offers such an existential threat to our country, her comments show either an unbecoming cynicism or worse yet, an unflattering ignorance of the different responsibilities of the legislative and executive branches of government and the differing roles that Rick Perry and Ted Cruz are so ably playing in the Ebola health and border security crisis. Click the link to read The Dallas Morning News editorial “Rick Perry vs. Ted Cruz on Ebola: Who’s exhibiting stronger leadership?” and then please let us know what you think in the comments section below.